So, the trip to Italy was so amazing that I didn’t want to leave. I was very sad on my last night in Rome, and even sadder on the ride to the airport to fly home. First of all, the city is unbelievably cool. Around every corner, you find history, or literally chunks of history. Ruins, rebuilds, places that have been there for a thousand years. Adding to its coolness, the people who live in Rome are citizens of the world, as corny as that phrase is, and seem genuinely interested in what you think, what your experiences have been. They’re a curious group. 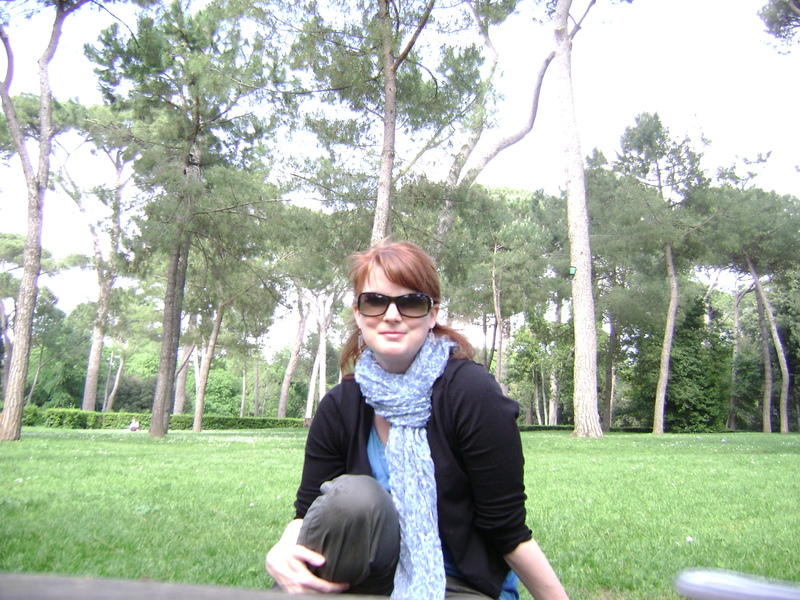 Of course, Rome is a mob scene at all the “touristy” sites – like the fountains and the Colosseum, but I found pockets of space and quiet there — like in the beautiful Villa Borghese Gardens, which is sort of like their Central Park. The buses are crazy. They come (kind of) on schedules, but unless you’re at a stop with an electronic reader board, you really won’t know when they’ll arrive. You can walk lots of places. And you do get lost there — that’s part of the experience. Luckily, I’m learning Italian, so I could ask basic directions and find my way around pretty well. It was interesting being there by myself. I could go where I wanted to go or laze in the beautiful apartment I rented. I could eat when and where I wanted to. I was the captain of my ship — so if I got lost or happened upon something cool to see, I adjusted the course. If I had been there with someone else it would have been fun, too — but on my own, I was able to travel and savor things at my own pace. I met some really great people in Rome, and I can’t wait to go back on another trip. There’s a lot to explore there, and so many more things to do and see. I didn’t eat nearly enough gelato. I didn’t get enough Italian sun (it rained most of the trip). I didn’t have enough time, in general. It was inspiring, though. I did some writing while I was there, and I did some deep thinking about what it means to be a writer. I feel so fortunate to be in this place in my life, where I have time to spend on stories I care about. On books that I want to bring to my readers. I’m encouraged by my need to get the words down, and more than ever, it seems like I’m doing something I’m meant to do. La vita e bella.